The time when sambajazz, a brazilian language of improvisation, a heady mix of Dancehall samba and jazz influences in different proportions emerged, is not well known or acknowledged within the catalogue of Brazilian popular music of the 50’s and 60’s. This style of music, which achieved a balance between dancehall, the freedom of improvisation and the tones of bossa nova‎, was a time marked by innovation and a release from the old ways.. Important figures in the stylistic development‎ of the brazilian sax like Casé, Zé Bodega, Juarez Araujo , Paulo Moura and others … played a major role in broadening the horizons for the instrument. “Old ideas Anew” traces the path of a generation of saxophone players responsible for a uniquely brazilian language of improvisationational saxophone. Leo Gandleman is spearheading the project. He is not only a recognised soloist but has applied his skills to highlighting the history of the Brazilian sax repertory. 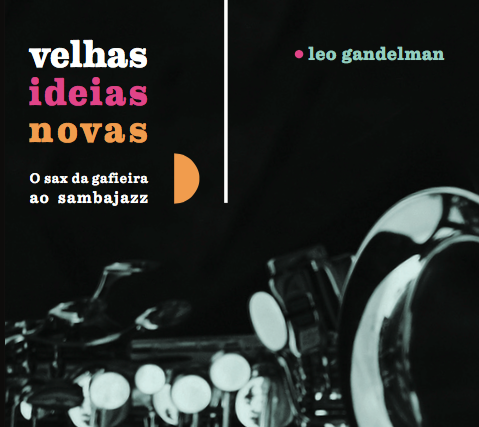 The work represents the third step in Leo Gandelman’s charting of the paths that together form the Brazilian style of saxophone plaing. The first steps were “Radames and the Sax”( 2007 – Winner of “The Brazilian Music award as best CD and Production) and Northern Winds , where the musical influence of the northern sax players is explored. The music has been recreated live to maintain the characteristics that marked the transition from dancehall to sambajazz; the beat and free improvisation on classic samba themes, conducive to dancing.